Move over, grandma. Cinnamon Oatmeal Raisin is the cozy classic perfected. The zing of cinnamon, the juicy, plump raisins…just absolute yum. Each 1.8 oz. 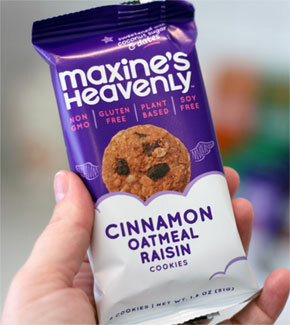 (51g) package contains 2 individual Cinnamon Oatmeal Raisin cookies. $1.99 per package.